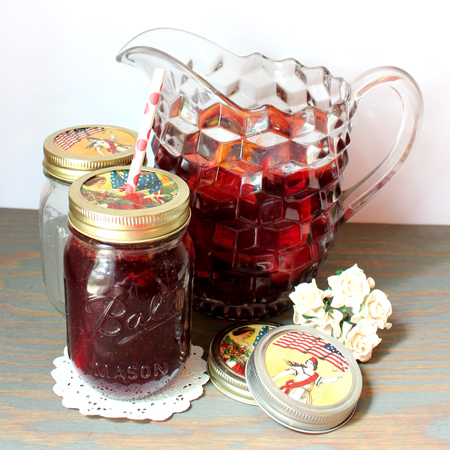 Well the 4th of July is rapidly approaching and for those of you that are celebrating with a picnic…party or barbecue…I have the easiest craft ever that i think you are really going to enjoy. 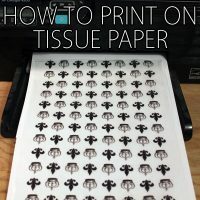 It takes minutes and looks fabulous! It’s a decoration that you can tailor to any occasion and with the array of graphics here on The Graphics Fairy…they are only clicks away. 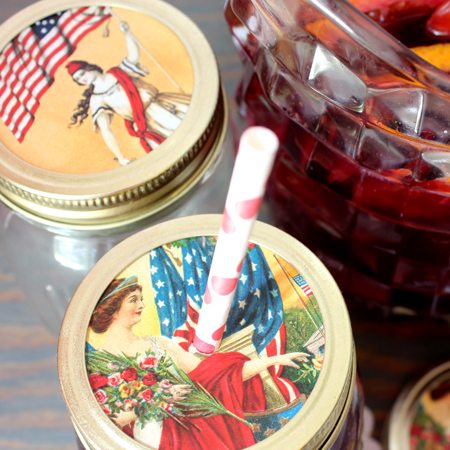 So I present to you Patriotic Mason Jar lids that will add a bit of pizzaz to that special drink you are serving! 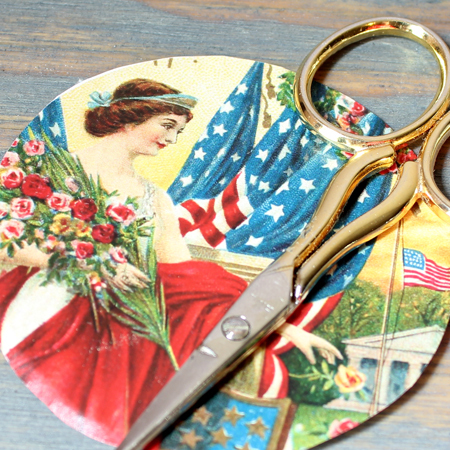 First you will need a few supplies: Your favorite images…you will find these and other great patriotic images in the patriotic category…a scissor or punch…a brush…ball jar lid and screw top…some mod podge and a drill with a bit the size of a straw. 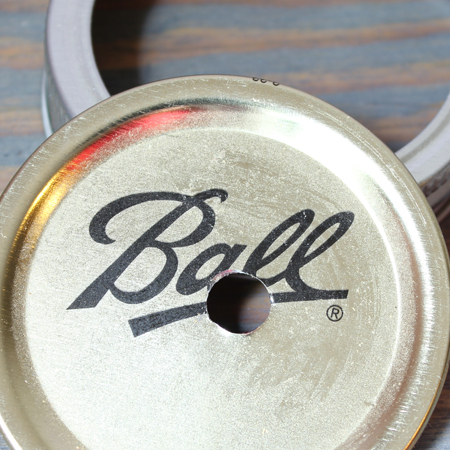 Now just cut your images out…the average ball jar lid is 2.5 inches. So you can size them accordingly. Drill a hole into the lid. Do not try to do it with the image on the cap…the drill will rip your paper. Just drill in placed on a piece of wood…done is seconds. 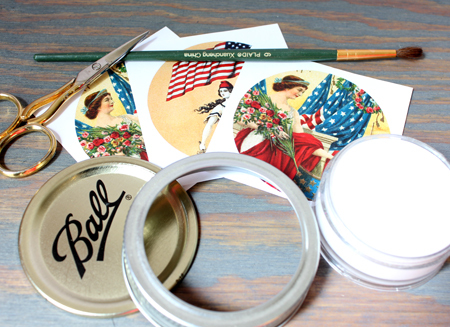 Now add a nice layer of Mod Podge to the back of your image and then apply to the lid and allow to dry. Or if you are going to constantly change your image…just use a strong tape…or you can always soak the image off for the next time. It is never a bad idea adding a coating to the tip of the image…but it is not a must. Once the image is dry…you can cut an opening with an exacto blade so the straw goes right through or any other method you like. 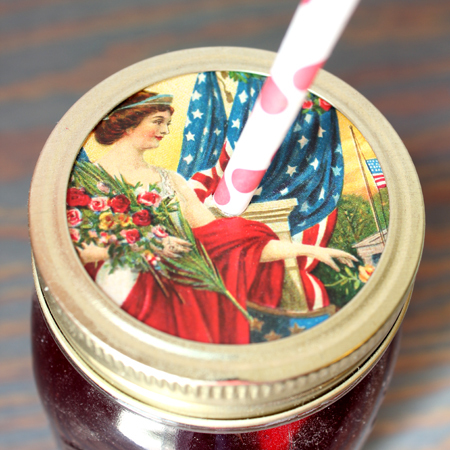 Then it is time to add your favorite drink and screw on the lid! 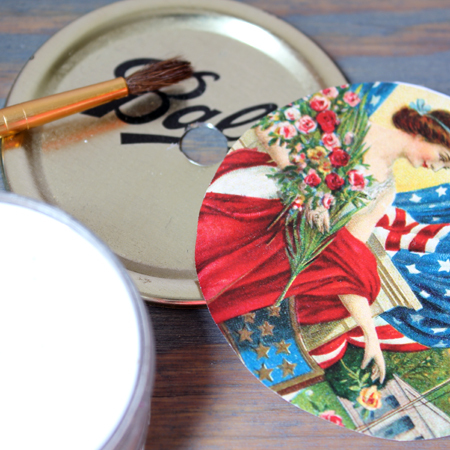 You can change things up a bit and spray paint the lid if you are looking for a certain color. I didn’t do it on these because the gold matched perfectly! 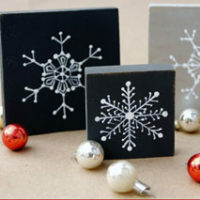 These take no time at all and you can make them for a crowd! 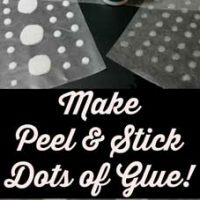 Saving yourself a ton because the lids with the holes can be very expensive but now you can make dozens! 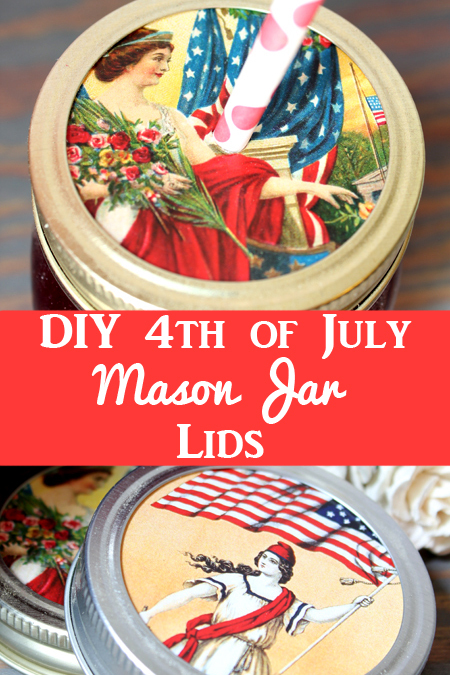 You can use the same method just to decorate the lid of a mason jar filled with yummy preserves or other delicious treats. Maybe a sewing kit or crafting supplies…just leave out the hole. most of the time! Enjoy! Oh my gosh, what a cool idea! These would be fun for a Birthday or patio/pool party too. Thanks so much for sharing! Love love LOVE this idea!!! Thank you for all your amazing ideas using all of your AWESOME images. Thanks for sharing such a fun, clever, and really cute way to change up those boring drink glasses into works of art!! These are just too darn cute!!! Thank you! So, so stunning. I can think of a number of ways to decorate my collection of ball jars. Thanks for sharing. Off to hang out at The Cottage Market! These are so great, loving them. Going to print them out to make a banner, will look awesome hanging from front porch railing. I have several yards of July 4th. fabric also I’ll make a bunting with. We might be only people around our neighborhood with decorations but we’ll have a good time. Thanks so much as always for the incredible ideas. Thank you for this wonderful craft idea! Being short on cash right now, I wasn’t sure what I could contribute to our family’s Fourth of July decorations. Now I’ll have something special that’s also inexpensive and quick! Where i found text/picture GRAND PRIX PARIS 1889 Exposition Universelle! Hugs to you too Leena! Hi Magi and Diane, You don’t have to make them round on your computer, just print them out and then use the top of the jar as a template, trace around it and cut them out. Easy! 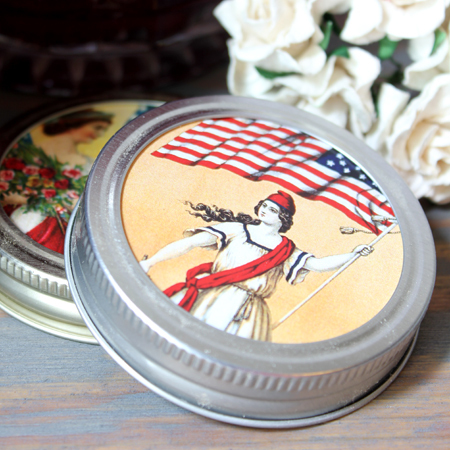 If the image isn’t big enough to cover the whole lid, you can enlarge it first, before printing, using picmonkey.com I hope that helps!